The Nebraska Golf Association is an Allied Golf Association of the United States Golf Association, and is authorized to issue USGA Handicap Indexes® to individuals golfers through its member clubs. The NGA has over 150 member clubs, servicing close to 23,000 golfers. The USGA Handicap System is an integral part of the game, and allows golfers of all skill levels to compete on an equitable basis. 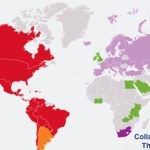 GHIN has now become the world's largest handicap computation service. GHIN is provided through 84 golf associations, federations and unions to over 14,000 clubs and approximately 2.3 million golfers. GHIN is maintained by the United States Golf Association® and the staff is composed of USGA employees. To establish a USGA Handicap Index®, an in individual in Nebraska must become a member of the Nebraska Golf Association. This can be done by visiting our Join page and either joining online or finding a NGA member club to join in person. A NGA member club is any club, course or association with at least ten individual members that have a reasonable and regular opportunity to play golf with each other, provides peer review, and maintains the integrity of the USGA Handicap System™. If joining in person, ask the club about establishing a handicap index. Upon paying a nominal fee (NGA membership), the club will add you to the Golf Handicap and Information Network (GHIN) Service. GHIN is the computation service used by the NGA, which provides the GHIN software to clubs without cost. New members will receive a GHIN number and have the ability to begin posting scores. At least FIVE 18-hole scores (or ten combined 9-hole scores) must be posted to establish a USGA Handicap Index. Your Handicap Index will update on the 1st and 15th every month, and you will receive your updated index via email each time. USGA Handicap Indexes are revised the 1st and 15th of every month. The 2019 active season for posting scores made on a golf course in Nebraska begins March 15th and concludes November 14th. Scores made on a golf course in Nebraska during the inactive season shall not be posted for handicap purposes. Scores made on a golf course in an area observing an active season (e.g. Arizona) during the inactive season in Nebraska shall be posted. The Nebraska Golf Association is pleased to present free tailored educational programs to member clubs/courses and associations. In an effort to educate more golfers on the USGA Handicap System™ and USGA Course Rating System™ the NGA is expanding its reach by offering private programs for those requesting it. The NGA continues to strive to meet the educational needs of those interested in learning more about various NGA and USGA programs and this offer reflects our efforts. The curriculum for these seminars will be updated Power Point presentations. Any member club/course or association interested in offering their members further educational programs should contact NGA Assistant Executive Director, Justin Ahrens, at (402) 505-4653, ext. 104. Note: The NGA can tailor a presentation to fit your audience. The USGA conducts numerous handicap seminars nationwide to educate club officials and golfers on the USGA Handicap System™. Attendees will get a thorough review of the player's responsibilities within the USGA Handicap System, discussion on how to deal with common issues at the club level and how to solve them in three easy steps, and highlights of the USGA Handicap System and Manual. Dates and sites for 2019 will be released at a later time. The USGA also offers an online handicap seminar HERE. 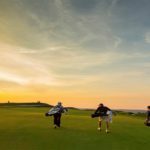 Established golf courses are rated on an 10-year cycle, and upon request if major renovations have been made to a course. New golf courses are re-rated every five years for the first 10 years to ensure the ratings are accurate as a course rapidly matures. Course ratings are conducted by NGA staff and a group of experienced volunteer course raters across the state. NGA course rating teams visit 20-25 golf courses per year. 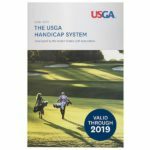 This program is vitally important to the integrity of the handicap system since the entire system revolves around accurate USGA Course and Slope ratings. Volunteer raters usually work mid-week to avoid crowded courses, in groups of three or more. Course rating consists of quantifying the difficulty of each hole on fourteen different factors for both Scratch (0 handicap) and Bogey (18 handicap for men, 20 handicap for women) players. The team is attempting to predict the scoring of a scratch player and a bogey player. The difference between the two creates the Slope rating--the larger that difference, the higher the Slope. If you are interested in learning more about the USGA Course Rating System™ and becoming a course rating volunteer please contact Ben Vigil at bvigil@nebgolf.org.